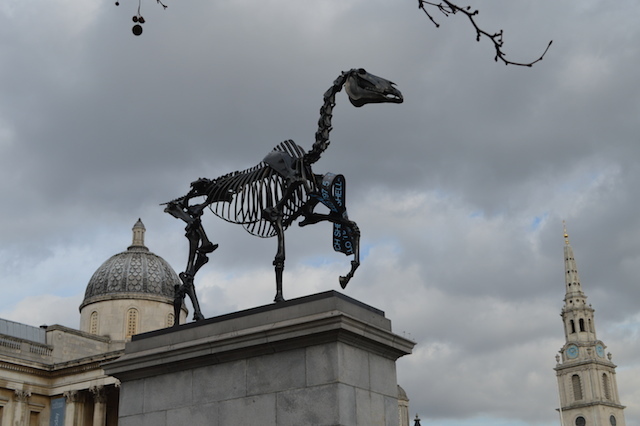 Trafalgar Square gained a new sculpture this morning when Hans Haacke's Gift Horse was unveiled upon the Fourth Plinth. 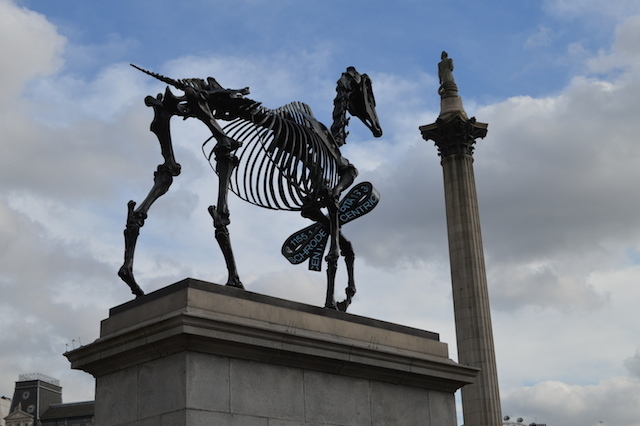 The skeletal equine supports a ticker feed showing the latest information from London Stock Exchange. It is the tenth artwork to occupy the pedestal. The 78-year-old artist describes his sculpture as a "contemporary comment on history, power and money". 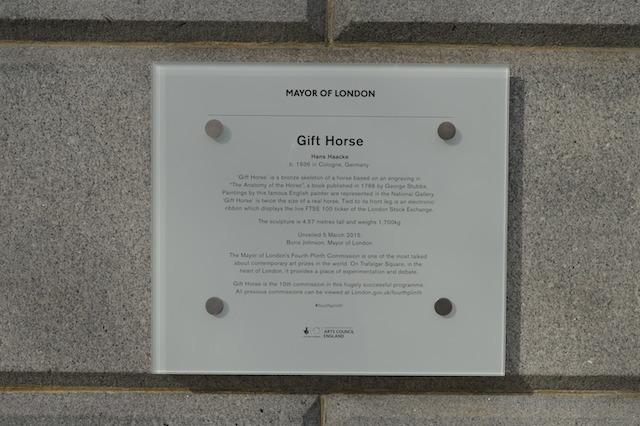 It's based on an engraving by George Stubbs, and recalls that artist's famous painting Whistlejacket, which hangs in the National Gallery. 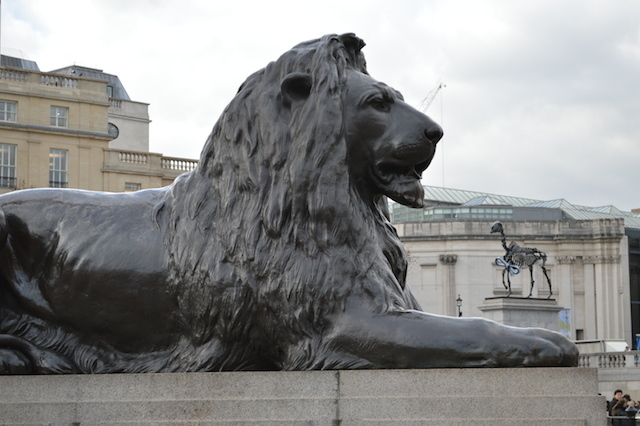 The work also pays reference to the traditional art form of the equestrian statue, several examples of which stand in and around the square (a mounted sculpture of William IV was originally to have occupied the plinth). The ticker, meanwhile, is said to reflect the financial excesses of the City, and the wealth gap between rich and poor. This melange of meaning all seems a bit nebulous and confusing, but also invites further contemplation of an artwork that is both striking and puzzling. A welcome sequel to the massive blue cockerel which previously occupied the plinth. 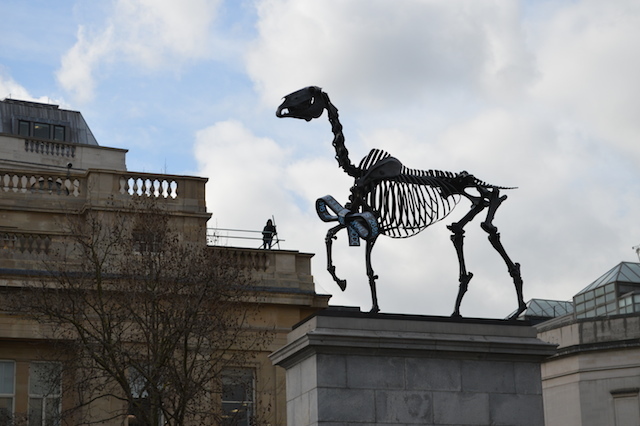 Gift Horse will remain on the Fourth Plinth for a year before being replaced by David Shrigley's Thumbs Up. 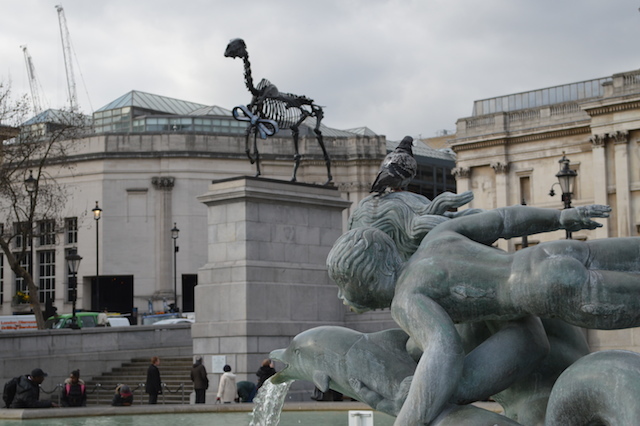 Take a look back at the past residents of the Fourth Plinth.